While Spain named it "Rich Coast" for the gold they found, tiny Costa Rica has become a tourist treasure, especially for the outdoor enthusiast, offering both beautiful resorts and adventure travel opportunities. Go whitewater rafting, trek through the rainforest, climb a volcano, snorkel or fish. Then there are the beaches on both the Pacific and Caribbean, separated by just 75 miles of narrow peninsula. 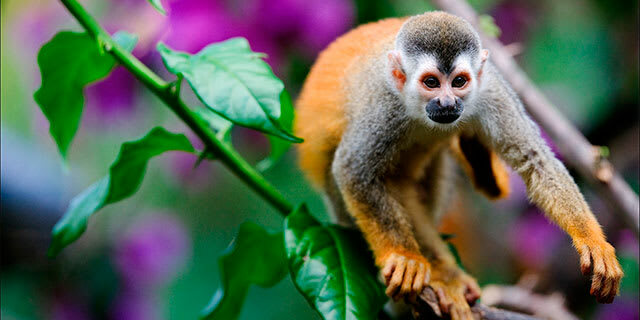 Already booked on one of our packages to Costa Rica? See everything you need to know before you go. U.S. citizens must have a passport which is valid for at least 90 days after your return date, though we strongly recommend at least six months. U.S. passport holders do not need a visa to enter Costa Rica for stays up to 90 days. See the U.S. Dept. of State website for more information. Costa Rica requires proof of yellow fever vaccination upon entry for passengers arriving from Yellow Fever Endemic Countries, such as Bolivia, Venezuela, Brazil, Peru, Ecuador & Colombia. If your flight makes a stop in one of these countries, you may be asked to provide proof of yellow fever vaccination upon arrival in Costa Rica. Find a local vaccination center. According to the Center for Disease Control, there are no other required vaccinations for travel to Costa Rica, but immunization against typhoid and hepatitis is recommended. Also ask your doctor about malaria suppressants if you will be visiting the Pacific southwest region or the Caribbean shoreline. Be sure to take insect repellent and suncreen! Costa Rica is a year-round destination. Temperatures in San Jose and the Central Highlands are mild and springlike. The mountains can be cool at night. Coastal areas tend to be hot and steamy, but hot and dry in the Pacific northwest. December through May is Costa Rica's relatively dry period. June through October tends to be wetter, but as a result the vegetation looks even more verdant during this time. Most restaurants include the 13% restaurant tax and the 10% service charge. Check the bottom of the menu or ask your server if the charge is included. Add a small tip on top of the 10% service charge if you feel the service was excellent. U.S. credit/debit cards are widely accepted throughout Costa Rica and typically offer the best exchange rate. Shop for pottery, traditional miniature painted oxcarts, jewelry made of semiprecious stones, hand-painted feathers, wood carvings, leather goods, and other high quality handicrafts. Tasty local treats such as coffee, rum, coffee liqueur, macadamia nuts and hearts of palm, also make great souvenirs. Voltage: 110-120 volts. Plugs A & B. You will probably need a voltage converter and plug adapter in order to use U.S. appliances. We recommend getting a universal adapter and converter kit. View more information about electrical standards around the world.